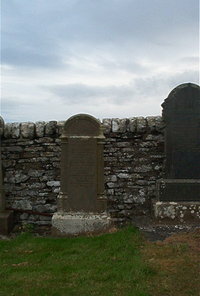 John Macleod died at Skail March 1912 aged 85. Wife Margaret Munro died December 1922 aged 88. Son Hugh Macleod died August 1885 aged 25. Son Robert Macleod died May 1931 aged 68.